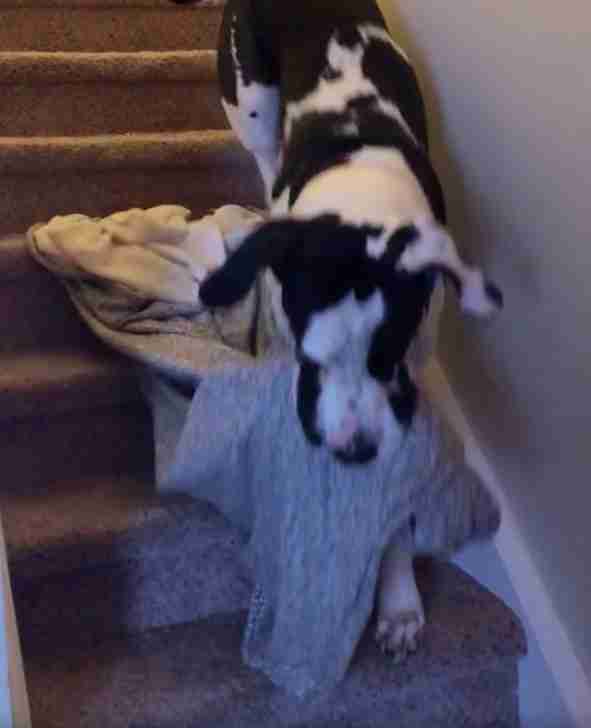 When Floyd was about a year old, he discovered the wonders of blankets for the first time. 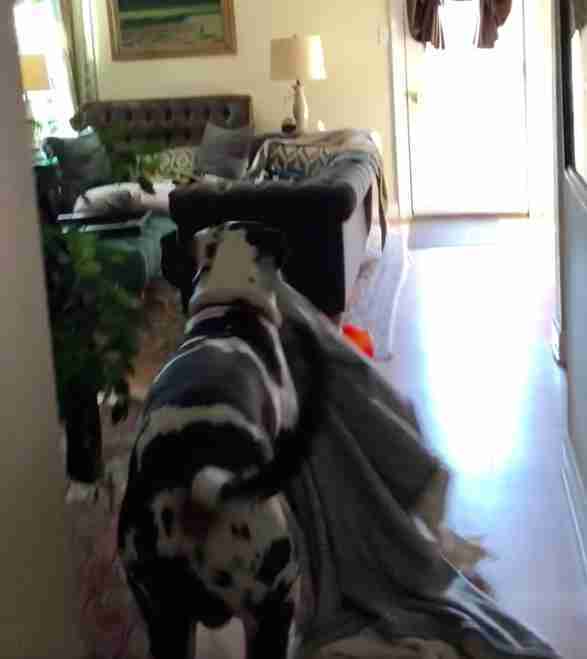 His family kept a throw blanket over the couch and he kept trying to steal it, so finally they decided to just give it to him to keep — and from that moment on, Floyd was absolutely obsessed with blankets. Floyd is now around 2 years old and he carries a blanket with him everywhere he goes. 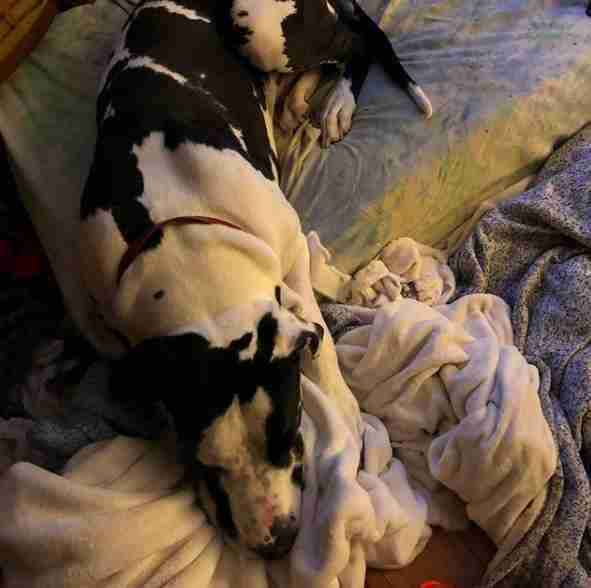 Being a Great Dane, sweet Floyd is pretty gigantic, but for some reason, he still loves the security of having a soft blanket with him at all times. 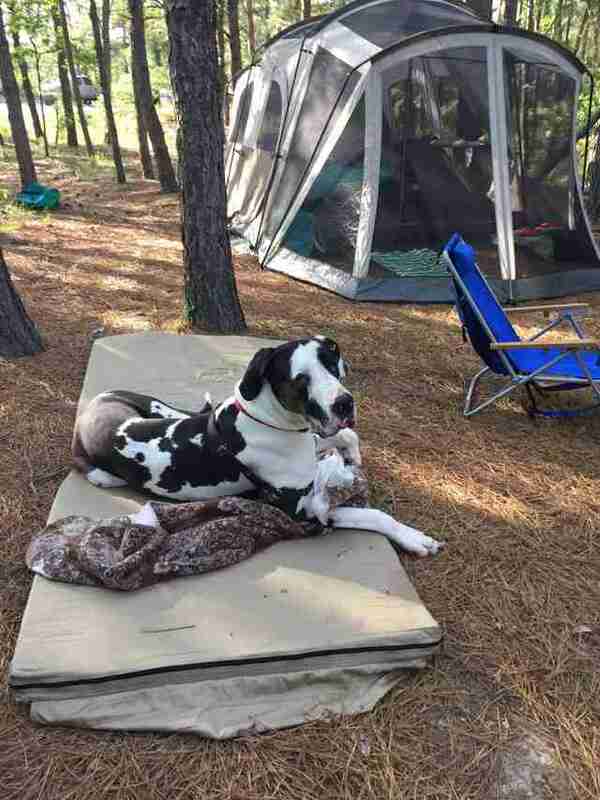 His size also means that sometimes he accidentally tears his blankets just from dragging them around and tripping over them, but his family always makes sure they have extra blankets on hand — since being without one is not an option for Floyd. 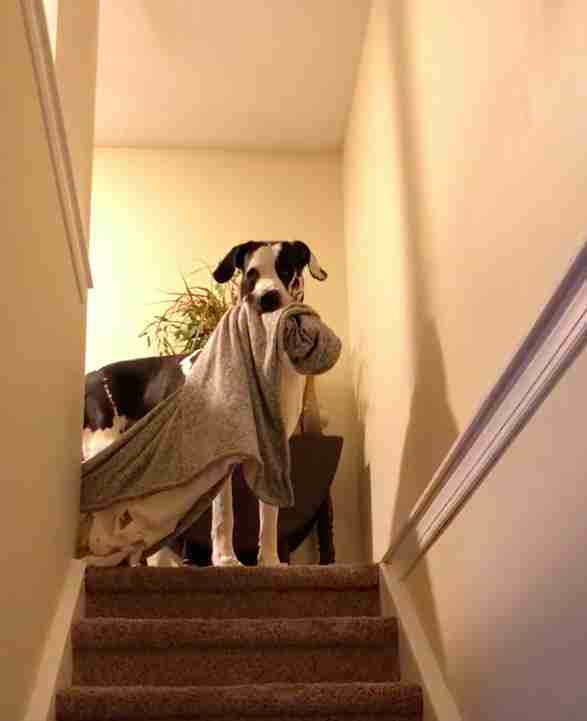 … or out exploring the world, there will be a blanket in his mouth, no matter what. 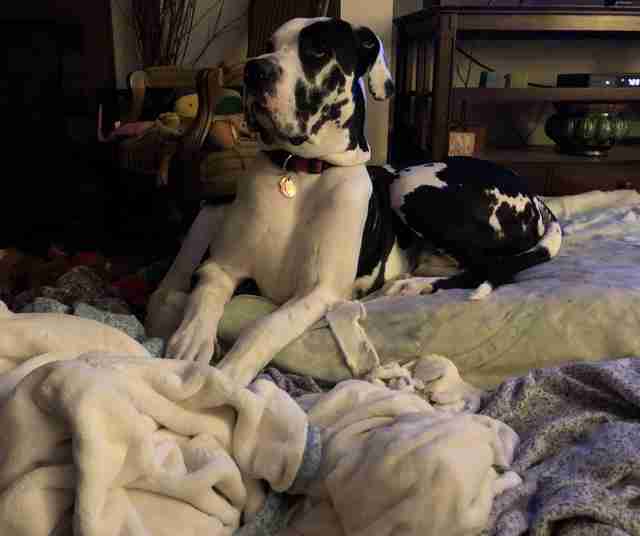 Floyd’s family has no idea why his obsession with blankets is so strong or what prompted it, but they love him for it, because it’s a huge part of who he is. Just like his blankets, Floyd is soft, cuddly and has so much love to give, and his family is happy to provide him with as many blankets as he wants for the rest of his life. You can follow Floyd and his blankets on his Instagram account.